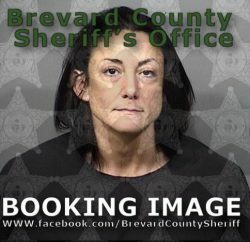 Earlier today, the Brevard County Sheriff’s Office arrested 37-year-old, Brandi George of Port St John, charging her with Manslaughter for a shooting death that occurred last week. George was also charged with Possession of Methamphetamine with the Intent to Deliver for narcotics that were discovered as the crime scene was processed. George was arrested at the Brevard County Jail where she was being held on a felony Violation of Probation for a previous drug conviction. 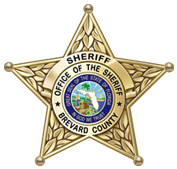 The investigation began on March 14, 2019, when deputies responded to a residence on Lindsay Avenue in Port St John at approximately 10:00 p.m. in response to a report of a male who was having difficulty breathing. As paramedics were treating the victim, it was discovered that he had been shot by what was later determined to be an air rifle. 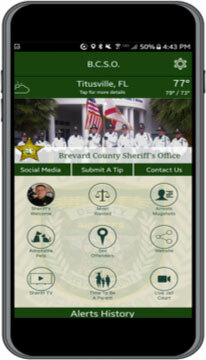 The victim was transported to a local hospital where he later succumbed to the injury. An autopsy conducted by the Medical Examiner determined that the projectile fired from the air rifle was the cause of death and classified the death as a homicide. The investigation has determined that George and the male were involved in an argument at the residence during which she retrieved the air rifle from the bedroom. George returned with the weapon and as the argument continued, shot the victim. It was learned that prior to calling for assistance, George attempted to clean up the scene in an attempt to hide narcotics. A search of the residence located 16.5 grams of Methamphetamine. The identity of the victim is being withheld at the request of next of kin.